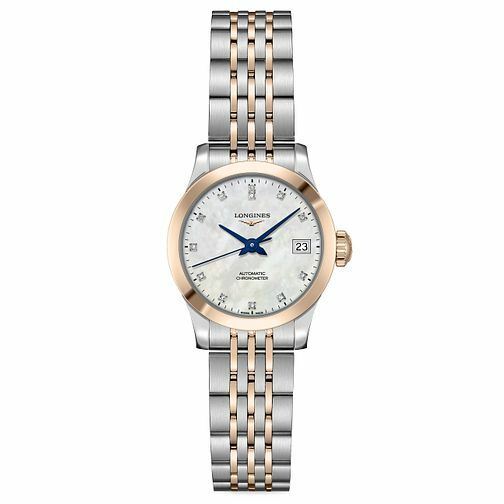 Display a state of confidence with a classic timepiece from Longines' Record collection, with a mother of pearl dial and navy blue hands that stand out for clear timekeeping. Diamonds take the place of numerals for a glamorous take on keeping time and the date aperture sits at the 3 o'clock mark for a modern twist. This particular timepiece also features a certified chronometer for precision and up to 30m water resistance.